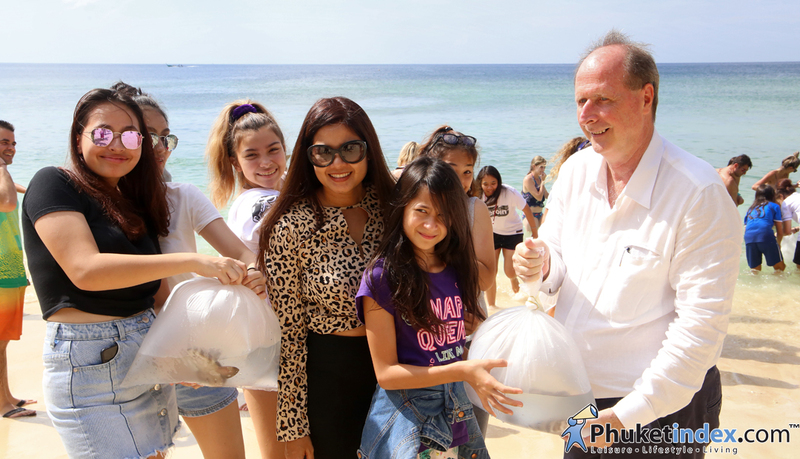 On Tuesday 6th December 2018 – Phuket Marriott Resort and Spa, Merlin Beach and IUCN held an event “Bamboo Shark Release and Reef Clean-Up”. The resort is teaming up with the International Union for Conservation of Nature, the Department of Marine and Coastal Resources, and the Phuket Marine Biological Center to help restore the wild population of bamboo shark around Phuket. FYI: brownbanded bamboo sharks feed on crabs, worms and small fish on the reef. They pose no threats to humans as they are shy bottom feeders.